SINGAPORE, 6 May 2015 – As Singapore celebrates its 50th anniversary (SG50), a taste of Singapore and a touch of Changi Airport are what Singaporeans and travellers can go home with over the next six months. 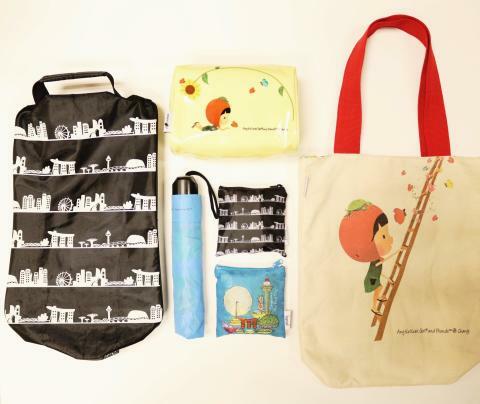 In a collaboration with local designers Wang Shijia and Jo Soh, Changi Airport Group is offering a set of six exclusive premiums as instant prizes in the latest instalment of Changi Airport’s ‘Be a Changi Millionaire’ campaign. Wang Shijia – the appointed designer for the official SG50 birth certificate and commemorative folder – has artistically combined her brand of “Ang Ku Kueh Girl and Friends” with Changi Airport’s renowned gardens for three premiums. Themed “A Garden in a Garden City”, the Ang Ku Kueh Girl spreads joy and happiness from the garden city of Singapore, while Jo Soh, known for her award-winning women’s wear label, hansel, takes inspiration from Singapore’s skyline, making the country’s iconic landmarks the main theme of the other three exclusive premiums. More details are in Annex A. From today until 31 October 2015, shoppers and diners can participate in the ‘Be a Changi Millionaire’ campaign for an instant chance to win any of the six attractive premiums, on top of the chance to be made a millionaire. This is the sixth year Changi Airport is running its anchor retail promotion, which has the largest cash prize in Singapore. To celebrate Singapore’s 50th birthday, Changi Airport has dressed its four Millionaire sites as local icons of yesteryear - the dragon playground, the mobile tricycle ice-cream stall, an old movie theatre as well as the laid-back ‘Mama Shop’. For the six months of the campaign (May to October 2015), one finalist will be picked each month for the grand draw to be held in early 2016. In addition, this year, the Millionaire excitement will be brought online. Travellers who shop on iShopChangi – Changi Airport’s very own e-commerce portal – will be entitled up to 10 times more chances of being picked as a finalist. At the end of the six-month period – for the first time in the game’s history – a seventh finalist will be picked among the pool of online shoppers to vie for the grand prize of a million dollars. All seven finalists will each win a cash prize of S$5,000 and a three-night hotel stay. So far, five shoppers have been crowned millionaires overnight – including Singaporeans Ivan Rantung (2010) and Peh Hock Peng (2012), Australian Jessica Down (2011), Indonesian Irvung Tio (2013), as well as Japanese Seiichiro Oiyama (2014). 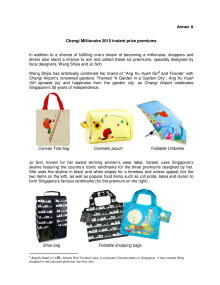 Ms Lim Peck Hoon, Executive Vice President of Commercial at Changi Airport Group, said, “We have had five very successful runs of our popular Changi Millionaire retail promotion and are excited to bring it back again in 2015. The introduction of a seventh finalist from among our online shoppers will make shopping on iShopChangi even more interesting and potentially very rewarding. Airport visitors and travellers only need to make a minimum purchase of S$30 at any of the retail and F&B outlets at Changi Airport or iShopChangi.com to qualify for both the monthly finalist draw and games to win instant prizes. The number of winning chances increases with the amount spent. 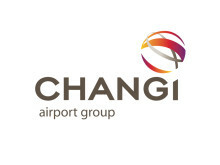 Changi Rewards members and purchases made on iShopChangi.com will receive additional chances. More information is available on changiairport.com/millionaire.